The schedule: 8 days, 2 cities! 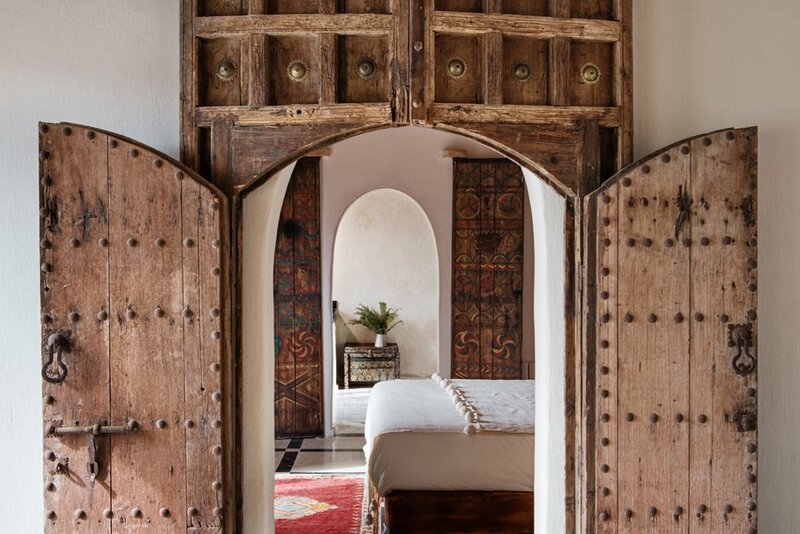 Join renowned wellness teacher Michael James Wong on a magical 8-day Moroccan adventure blending cultural treats, soul-enriching mindfulness and an escape into the unknown. Your journey begins right at the heart of ancient Marrakech where a carnival of vibrant sights and sounds waits to immerse you in its effusive and eclectic vibe. Meander and explore away from the mainstream with our cultural guide Charaf and see the city through the eyes of a Morocco native. Charaf lives and breathes Marrakech, so you can pitch him all the questions the guide books don’t answer. From Morocco’s Berber origins to its thriving cultural scene, you’ll discover a juicy slice of Moroccan culture as its heart beats today and its history comes vividly to life before your eyes. Cameras at the ready, people! Complement your Marrakech adventures with the most reflective experiences Morocco has to offer. Relax each day into two yoga classes and an illuminating meditation. It’s what being good to yourself is all about. 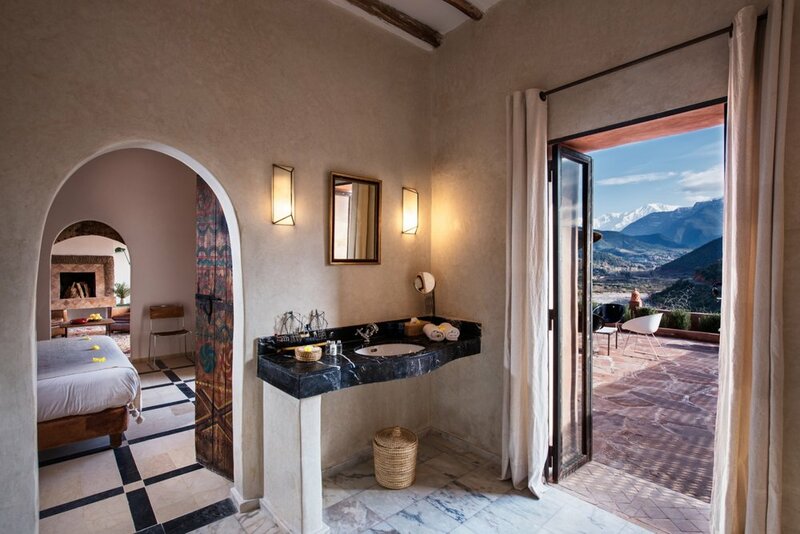 After a few days getting to know the city, you’ll wind your way up into the Atlas Mountains to our spacious Casbah hideaway. Lofted high in the hills, this quiet retreat offers a 360 degree view of the world below and the horizons beyond. Easing into the tranquil vibe here is a doozy. Take your time, unwind at your leisure, feel the soft pulse of serenity wherever your heart leads you. Start your new high life with morning and afternoon yoga, mixing up the vibe inside the shala or outside on the deck. 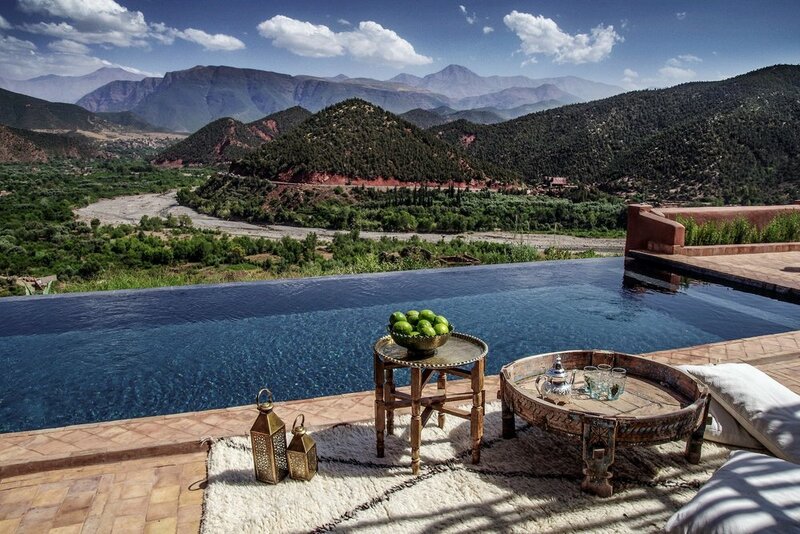 From this still point, your Atlas Mountain hiking adventures begin. Feel the wind in your hair and the sun on your back as you discover enchanted forests and awe-inspiring stonescapes. Explore the salt productions at Taouririte, take in the bio-aromatic gardens at Douar Al Haddad, and tuck into a hearty lunch in a local Berber home. These proud people call themselves Imazighen, meaning "free people" and you’ll receive the warmest of welcomes to their North African homeland. 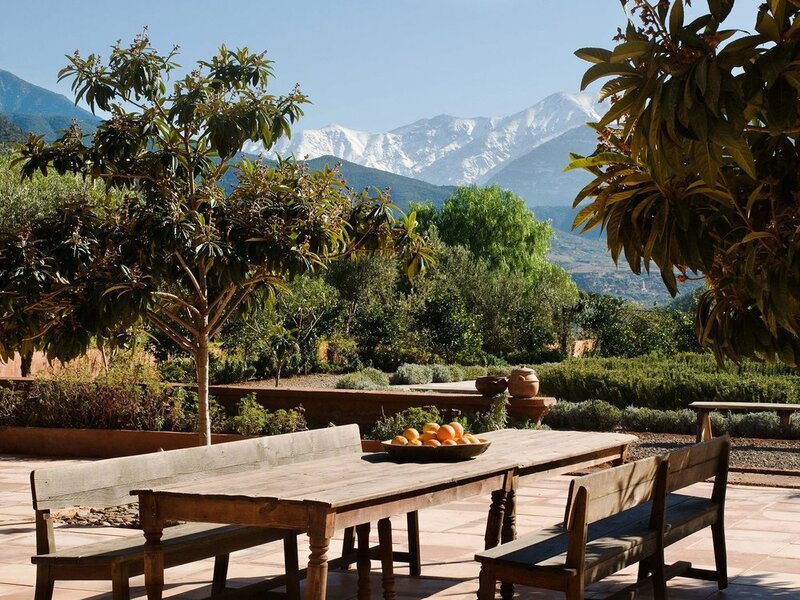 If you’re looking for the ultimate Here & Now experience, nothing beats Marrakech, mountains and Morocco-style mindfulness during the holy month of Ramadan! 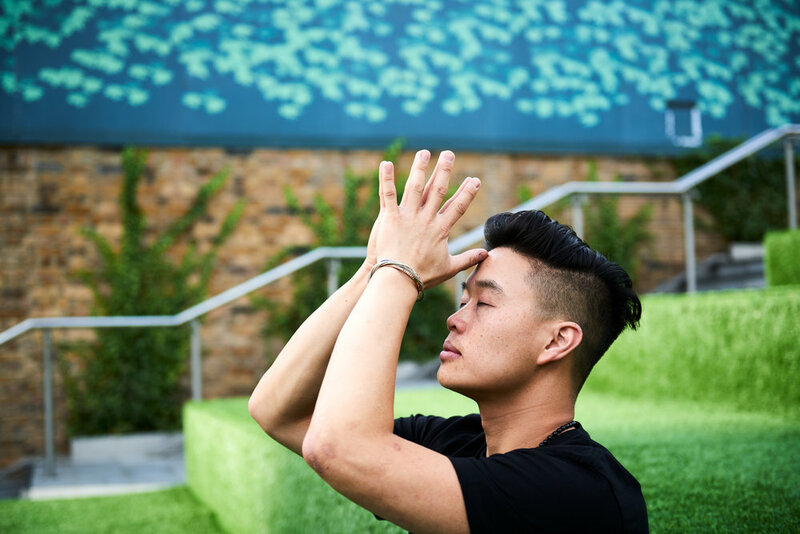 Michael James Wong is a man on a mission to break down barriers, smash stereotypes and bring the global wellness community together in a calmer & quieter conversation. Michael is the visionary founder of Boys of Yoga, Just Breathe and Sunday School Yoga — organisations created to promote community, connection & quiet in the real world. An international yoga & meditation teacher, inspired community leader, and acclaimed speaker and author of Sit Down, Be Quiet, Michael is recognised around the world as a leading voice in the global wellness movement for modern mindfulness. Hearing him speak is such a treat. reserve your spot with a small deposit of £350. This is fully refundable within 7 days.